Mr and Mrs Edwards were in love with their home since buying it over 25 years ago. 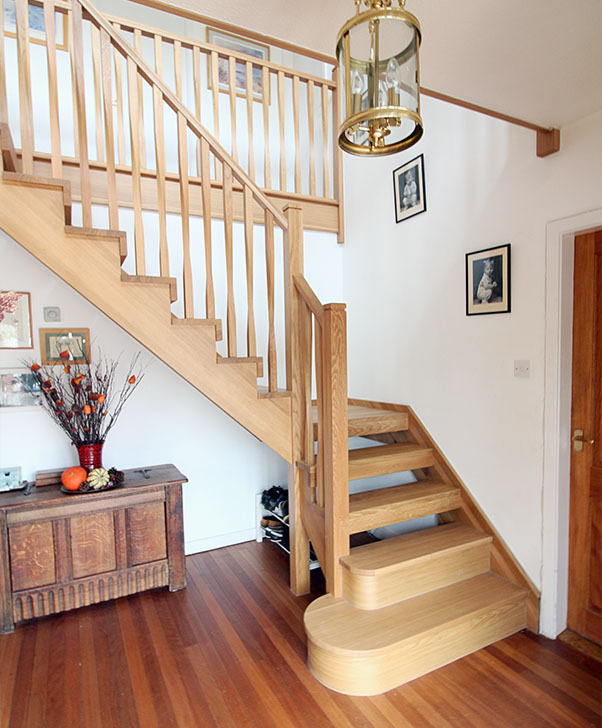 They had no intention of moving but wished to replace their existing staircase with a more modern centerpiece due to its focal position in the entrance hallway. From meeting the team at Grand Designs Live 2017, the Edwards family knew we could deliver a superb design. 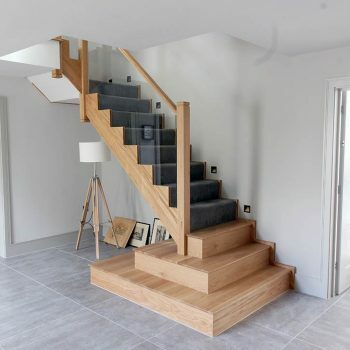 Replacing a staircase is an unintrusive process when planned to perfection and can be completed within two days without the need of moving out or staying downstairs for the evening. 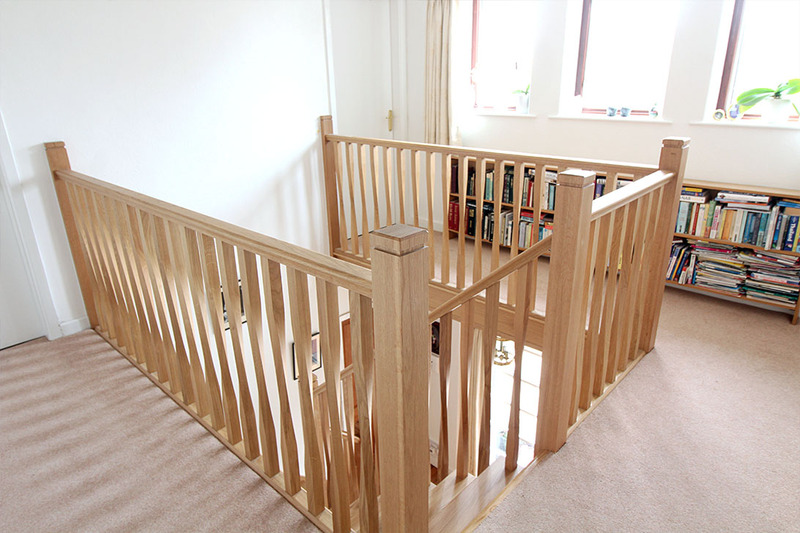 Our replacement staircases can follow the same layouts as the original, or why not ask our team to design a new layout of the staircase to embrace the space more effectively. 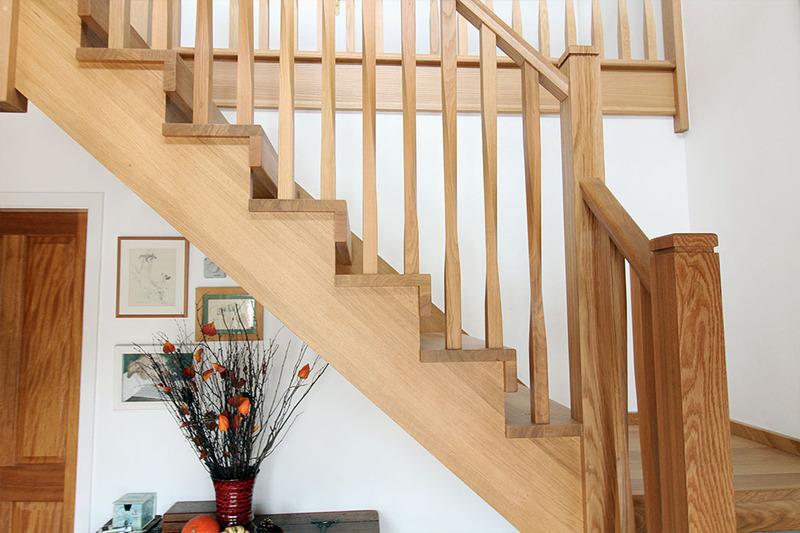 The Edwards family wanted a light oak staircase that brought the space back to life, without the need of going ultra contemporary. 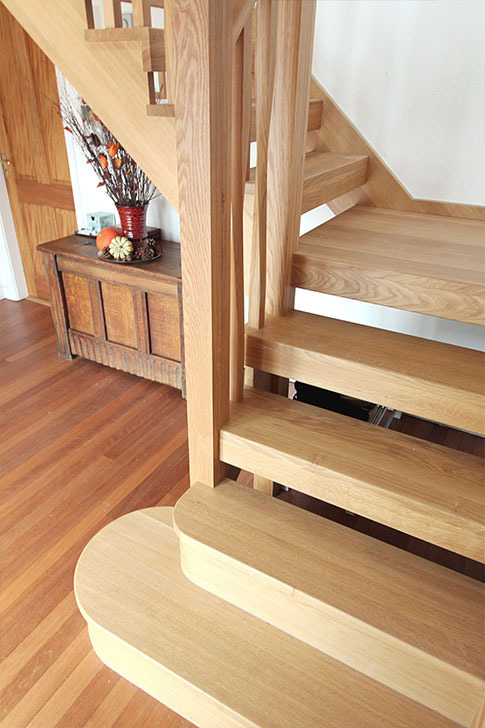 They chose an open plan staircase made from solid 32mm European White Oak throughout and feature twisted spindles. 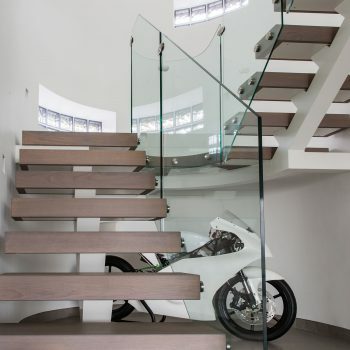 The staircase is our unique, open plan Edge design. 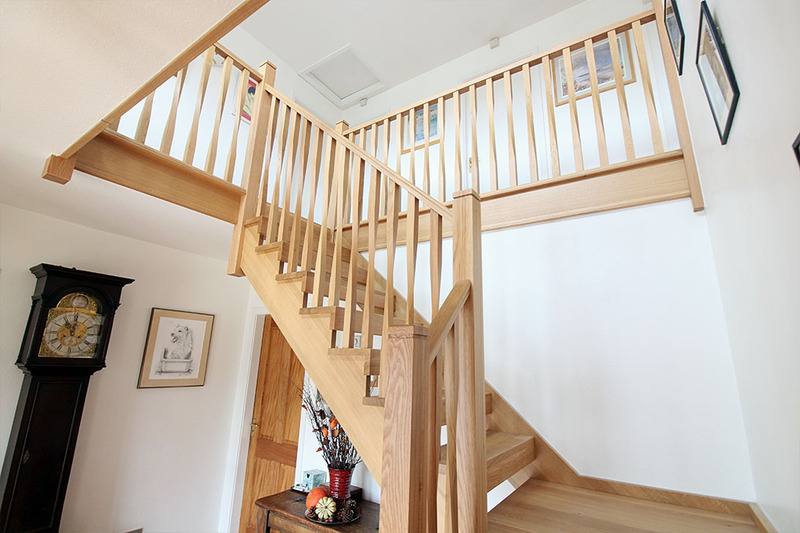 We design and manufacture in such a way that we flaunt the fact that our timbers are solid. Showing end grain wherever we can to share the beauty and quality of our timbers. 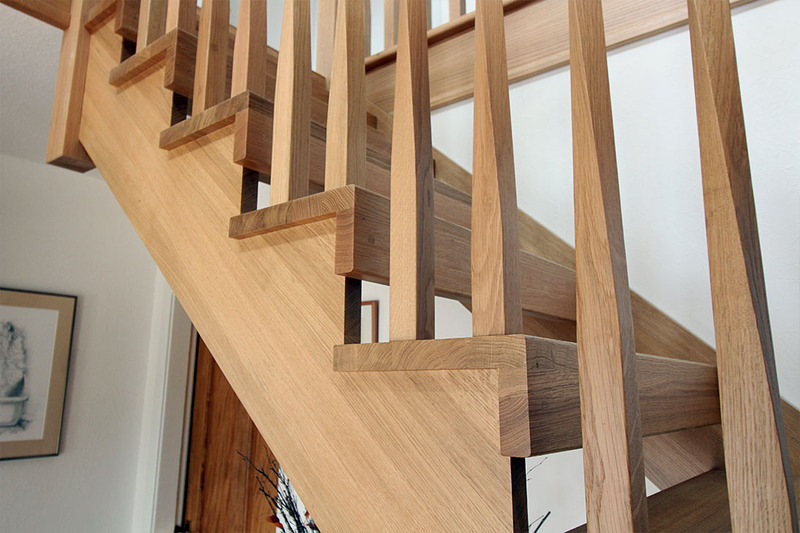 All timbers are sealed and French Polished with a 5% matte lacquer and coated with anti-slip treads for safety. A wonderful statement piece. 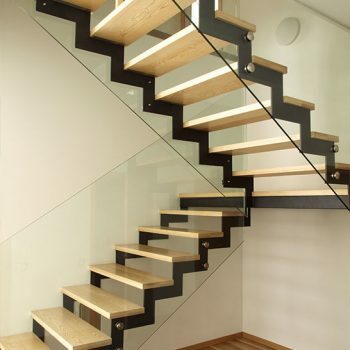 At First Step Design, we have exiting news and information about our prouducts and services. By ticking this box you opt-in to recieve marketing content, using the details provided. You can stop recieving our updates at any time by unsubscribing to our emails.